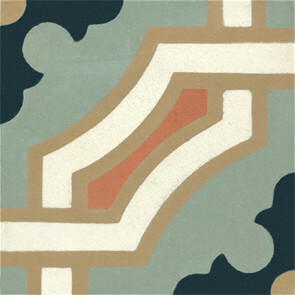 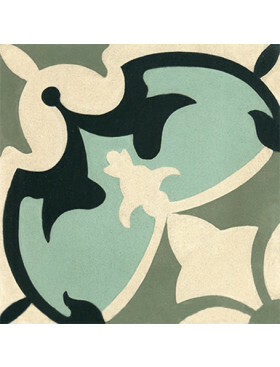 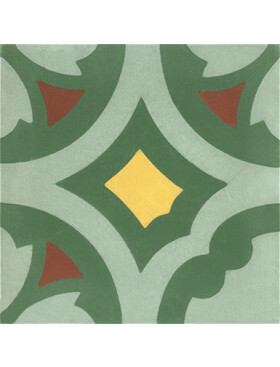 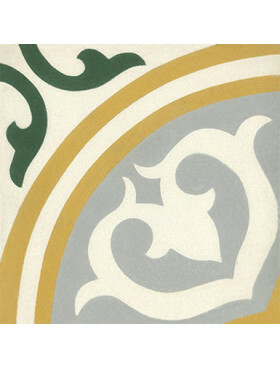 Buy the Monaco pattern cement tile at Tango Tile. 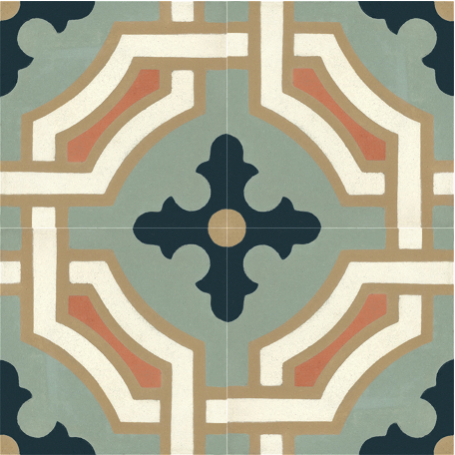 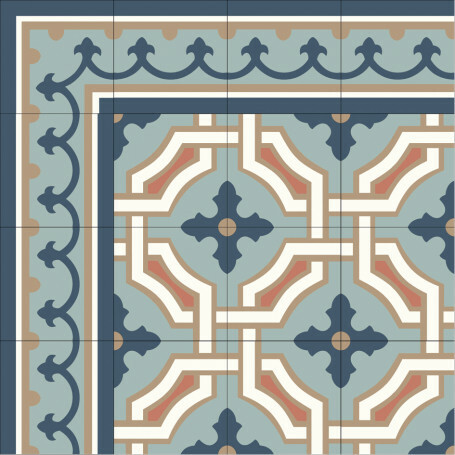 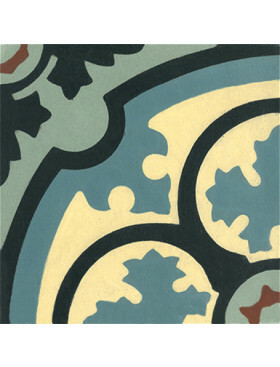 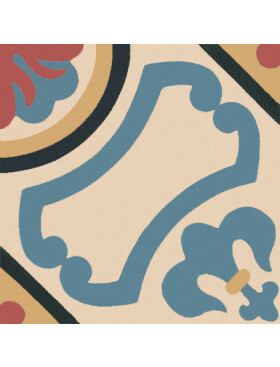 From Original Mission Tile, Monaco-01 is a 4-piece pattern in Sandstone, Navy, Sage, White, and Terra-Cotta. 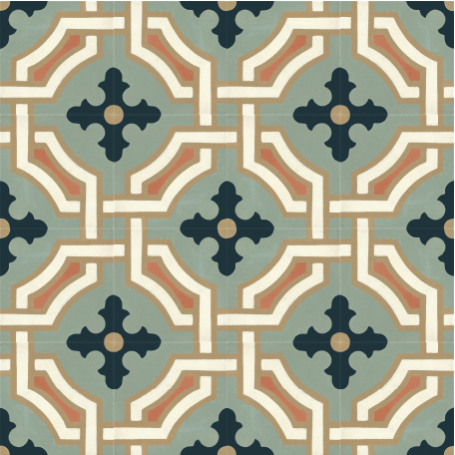 It comes standard with a "regular" finish used for indoor spaces, but can be ordered in either a "rough" or "relief" finish appropriate for indoor or outdoor spaces. 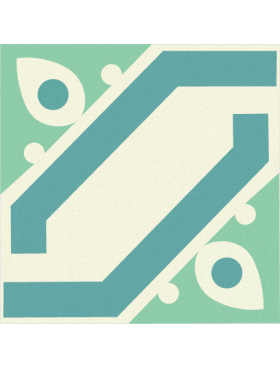 THIS IS GENERALLY IN STOCK FOR IMMEDIATE SHIPMENT.